The law firm of Samuel Spatzer, P.A. , in Miami, Florida represents persons who have suffered extensive injuries resulting from the negligence of a hospital, physician, nurse practitioner, or other health care facility or provider. Clients include individuals throughout the state of Florida, including Miami, Tampa, Melbourne, Orlando, Dade and Broward counties. Improper reading of x-rays, CAT scans, etc. 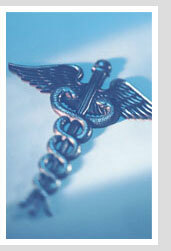 Mr. Spatzer has extensive experience in handling professional malpractice claims. Medical negligence for example can occur by many different types of health care providers whether medical doctors, nurses, nurse's aids, attendants, psychiatrists, psychologists, social workers, chiropractors, clinics, hospitals and in many other areas. Attorney Samuel Spatzer holds health care professionals responsible for negligence, recklessness and medical malpractice. Medical malpractice is committed in many different ways: a doctor may fail to diagnose a condition, a radiologist may misinterpret an x-ray, mammogram, CT Scan or MRI, a physician can misdiagnose and treat the wrong condition, an obstetrician may improperly delay the performance of a c-section, a pathologist may misinterpret a pap smear, an anesthesiologist may improperly manage an airway, a nurse may give the wrong medication, a pharmacist may dispense the wrong medication, or a surgeon may fail to adequately explain the risks of a given procedure. If you or a loved one has sustained serious injury or illness because of improper medical care or treatment by healthcare providers, please contact the law firm of Samuel Spatzer, P.A. Though it is impossible to completely restore the damage and loss in these situations, Mr. Spatzer will vigorously pursue a resolution that will compensate you to the fullest extent of the law.